One of the longest established shoemakers in England, R. E. Tricker Limited was founded in 1829 by Joseph Tricker. 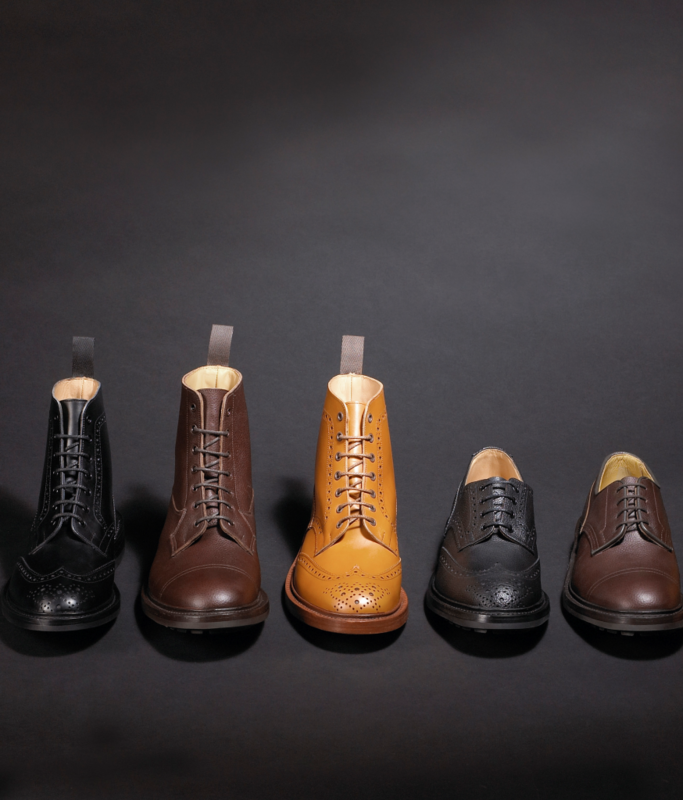 All its footwear is made entirely from start to finish at its Northampton shoe factory and His Royal Highness, The Prince of Wales, awarded Tricker’s a Royal Warrant in 1989. Appointed in 2015 by new MD Martin Mason we have worked together to support the new transactional website and launch of seasonal collections as well as developing creative strategies to re-energise and reinvigorate the Tricker’s brand both at home and overseas. Initiatives have included working with celebrities such as Michael Fassbender, Orlando Bloom, Dominic West and Tom Hughes; new seasonal product launches including a world-first for AW17 – the launch of Olivvia leather, the first environmentally friendly, sustainable leather; campaigns with influencers such as Garcon Jon and Roque & Soul and a targeted media campaign with both national and international titles. Double digit sales growth has been achieved with a growing demand from editors, stylists and wardrobe departments for Tricker’s as the footwear of choice.